Neutrogena Water Gel Review (2018): Is It Really Worth Buying? Neutrogena Hydro Boost Water Gel Review: Is This Moisturizer Safe To Use? 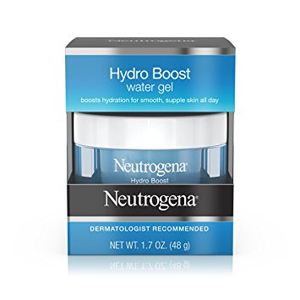 Neutrogena Hydro Boost Water Gel, US $20 for a 1.7 oz. jar, is an intensely hydrating moisturizer product that is sheer and deeply penetrates your skin with a generous amount of hyaluronic acid. About Neutrogena Hydro Boost Water Gel — Does It Really Work? This product is brought to you by Johnson & Johnson, one of the world’s most recognizable brands when it comes the health and beauty. This multinational corporation has business interests in three industries — medical devices, pharmaceuticals, and consumer goods. Neutrogena is one of many consumer products being marketed and distributed by J&J, other brands include Aveeno, Clean and Clear, Listerine, and BandAid. Neutrogena serves that segment of consumers with very specific skin care requirements. Deliver a sudden boost of intense hydration that softens and smoothens your skin. Give your skin a more supple feel. Serve as primer for your makeup. With regular use, your skin becomes more supple to the touch. What Are The Ingredients In Neutrogena Hydro Boost Water Gel? Purified Hyaluronic Acid: Deeply and intensely hydrates your skin, restoring your skin’s moisture content in an instant while simultaneously improving your skin’s overall state of hydration. Olive Extract: It contains deeply moisturizing properties that comes with a highly potent volume of fatty acids that support your skin’s healing, all while also delivering strong antioxidant properties that defend your skin from free radicals. Apply Neutrogena Water Gel generously over freshly cleansed skin on your face, neck, and chest. Use morning and night for best results. Neutrogena Water Gel is oil-free, sheer, moisturizes without the grease and complements oily and combination skin types well. This product is non-comedogenic and should suit acne-prone skin well. This product is alcohol-free and won’t cause damage to your skin’s matrix. The formula and consistency makes for a good primer and goes well under makeup. This product contains fragrances that can irritate skin which, therefore, makes it not suitable for use on sensitive and reactive skin types. Neutrogena Water Gel reviews indicate that this product can cause breakouts in some users. The formula contains higher amounts of preservatives and silicones than hyaluronic acid, which supposedly is the key ingredient in this formulation. Does Neutrogena Hydro Boost Water Gel Have Any Side Effects? Skin irritation and allergic reactions due to several ingredients, including artificial colorants, synthetic fragrances, and silicones. Increased risk for permanent skin damage due to chlorphenesin. It’s hard to make out whatNeutrogena Hydro Boost Water Gel is really made for. This product will leave your skin feeling smooth and velvety because of the high amount of silicones. However, when the key ingredient, hyaluronic acid, shows up as the sixth from the last ingredient and phenoxyethanol shows up as the fifth, it’s hard to say how this product can deliver intense hydration that lasts. In the end, the decision is yours as to whether or not this product serves your skin hydration goals, and if that is sufficient to your skin’s requirements.